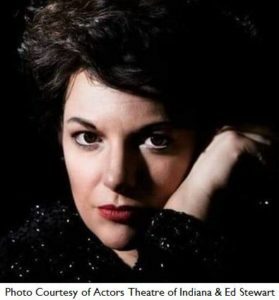 Katy Gentry: Judy Garland LIVE! A box office smash during its July run at The Cat Theatre in Carmel, “Judy Garland LIVE!” will delight new audiences with the powerful voice and personal touches that Katy Gentry brings to the iconic entertainer’s songbook. Gentry will sing “Come Rain or Come Shine,” “When You’re Smiling,” “The Man That Got Away,” “Zing! Went The Strings of My Heart,” and many other classics. A formidable talent in her own right, Gentry weaves stories of her own struggles and triumphs, relating them to the music and milestones of her idol. Accompanied by the dynamic trio of music director and pianist-composer Dustin Klein, bassist Christian Starnes and a drummer, Judy’s spirit fills the room “in a way that, while reminiscent of the legend, also allows Gentry’s own star power to shine through,” as one arts critic so accurately described. Friday, Dec 7th, 7:30 p.m.
Saturday, Dec 8th, 7:30 p.m.
Sunday, Dec 9th, 4:00 p.m.
Friday, Dec 14th, 7:30 p.m.
Saturday, Dec 15th, 7:30 p.m.
Sunday, Dec 16th, 4:00 p.m.